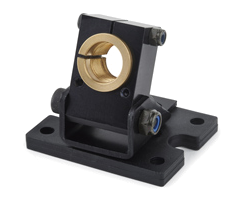 The heavy duty mounting clamp allows our range of 11-25mm diameter lasers to be adjusted and securely fixed at any required direction or angle. 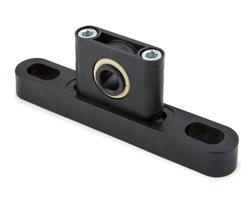 The base plate has a series of threaded holes which enables the clamp to be fixed directly onto a machine or workbench. Two versions are available, one to fit the smaller range of lasers 11-15mm and one for the larger range of lasers 16-25mm. The magnetic base is an accessory which allows the heavy duty mounting clamp to be magnetically attached to a ferrous surface, negating the need for any mounting holes. 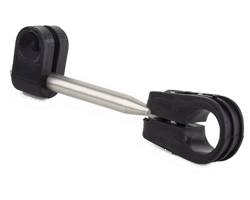 Fits the smaller, lighter laser products with diameters of 11-14 mm. It rotates on a ball joint allowing 360° rotation and 180° tilt. Suitable for 11, 14 and 15mm diameter lasers. It provides the user with up and down tilt movement as well as ±45° swivel. 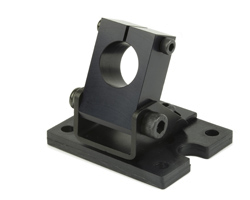 The base plate has a series of holes which allows the clamp to be fixed directly onto a machine or workbench. The Pillow Block Bearing Mount contains a spherical rolling element that serves as a rotational bearing. You can quickly and easily adjust the direction of your laser module in one smooth movement without the need for an Allen key. The bearing also provides enough fiction to keep the pointing direction stable. 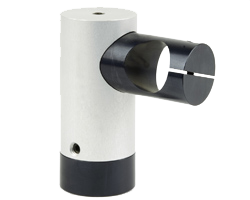 Suitable for 11-19mm diameter laser.